Born in Bassano del Grappa, Italia, in 1968. He graduated with highest honors from the Conservatory “Benedetto Marcello” in Venice in the class of Tommaso de Nardis. He consecutively frequented masterclasses of Manuel Barrueco and David Russell, as well as receiving the “Diploma di Merito” at the Chigiana Academy of Siena in Oscar Ghiglia’s Class. Elected in 2003 best Italian guitarist of the year by the readers of the magazine Guitart. The critics also recognize figures of the music world appreciate in Paolo Pegoraro an uncommon depth and artistic sensibility. Winner of prestigious competitions, he performs regularly at major festivals throughout Europe, USA, South America, Africa and Asia. Paolo also loves to teach, so he founded together with his wife Angela Tagliariol and six collegues who studied with him, the Segovia Guitar Academy, a school established and recognized internationally, which has students from various countries around the world. Many students develop themselves at his school, play assiduous concerts, winning over the years more than 180 awards at major national and international competitions. 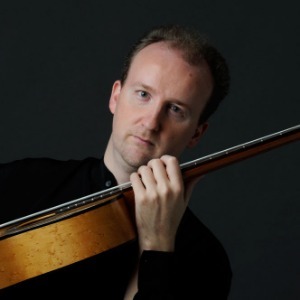 He was the creator and artistic director of the Pordenone Guitar Festival held in Pordenone for 18 years. He is often invited to be part of juries for musical and guitar competitions, both in Italy and abroad. He also gives regular masterclasses all around the world. He has several recordings and the CD “Solo” has received enthusiastic reviews; in particular, the German magazine “Gitarre & Laute” declared “… the discovery of the year”. For his last CD, he was awarded with “La chitarra d’oro” at the Alessandria Guitar Convention, as the best CD of the year (2010). In 2010 he became part of “D’Addario family”.Paolo Pegoraro is Professor at the “Universitat für Musik und darstellende Kunst” in Graz (Austria).